Anyone who picks up a newspaper knows that our world can be very violent, including domestic violence, sexual assault and stalking. Employers often see firsthand the impact of such violence on their employees. Most of the time, employers who learn that an employee is experiencing some form of domestic violence, sexual assault, or stalking will do what they can to help the employee manage the situation. Sometimes, however, employers of victims of violence react in a negative way. The Equal Employment Opportunity Commission (“EEOC”) has recently issued a guidance describing how the actions or reactions of employers in these situations may be a form of discrimination under federal law. The guidance can be found here. In the guidance, the EEOC points out that Title VII and the American with Disabilities Act do not directly prohibit discrimination against applicants or employees who experience domestic or dating violence, sexual assault, or stalking. So, just how can an employer be liable for discrimination in these instances? Good question. An employer terminates an employee after learning she has been subjected to domestic violence, saying he fears the potential “drama” that battered women bring to the workplace. 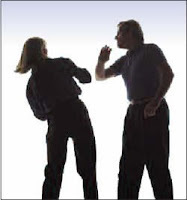 A hiring manager believes that only women can be true victims of domestic violence because men should be able to protect themselves, and does not select a male applicant when he learns that the applicant obtained a restraining order against a domestic partner. In Minnesota, there’s an additional consideration for employers. Minnesota’s Human Rights Act prohibits discrimination in employment based on marital status, including discrimination based on the situation or identity of an employee’s or applicant’s spouse. An employee in Minnesota probably cannot be terminated because her spouse is disrupting her work with threatening phone calls, or because the employer is worried that the spouse may come onto company property looking for the employee. Perhaps the most important thing employers should take away from the EEOC’s new guidance and related state law is a reminder that all employment decisions should be carefully analyzed. Some forms of discrimination are less obvious than others, and agency interpretations of discrimination laws can change over time. Be sure that your decision makers and human resources personnel have access to current and complete information.